Six days after I finished my winter training with my first indoor century, I brought the bike outside for my first substantial ride of the year: the Pittsburgh Randonneurs’ 125-mile Sandy Lake 200k brevet. I had more than the usual nerves leading up to the ride. 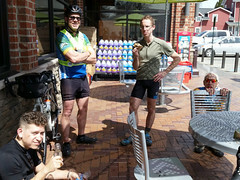 After all, it would be the longest ride I’ve done in two years, and I was going into it with essentially zero prep. 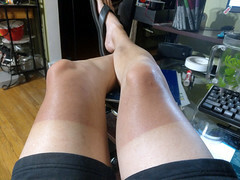 In the past four months, I’ve only done a couple short rides outside, none of which I’d count as “training”. For the first time ever, all my winter riding was done indoors, on the trainer, using Zwift. I’d done a lot of that, but would that be sufficient to power me through a 10-hour, 125-mile ride? I was about to find out! 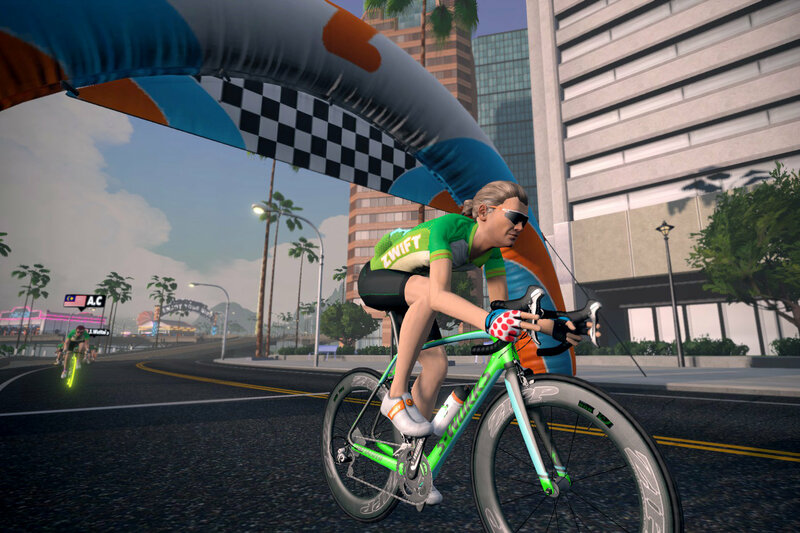 … come and join the Zwifting party! 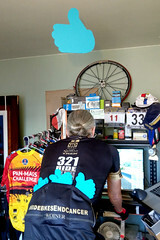 So four months after buying a new indoor trainer, how did my winter training go? It went well, according to my stats in Zwift. I rose from Level 0 to Level 20, completing the California and Everest Challenges, earning 32 out of 40 achievement badges. I finished the 9-stage Tour de Zwift, and 5 monthly fondo rides. 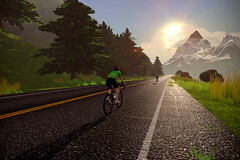 I climbed the Alpe du Zwift (their facsimile of the real-world Alpe d’Huez) 5 times, and even earned an orange jersey for setting a fastest lap time on their Innsbruck course. I took 2 Step Tests and 2 20-minute FTP tests; in the former set, my Functional Threshold Power rose from 212 to 221; as measured by the latter it went from 198 to 210. And I finished with my first ever indoor/virtual century (more below). 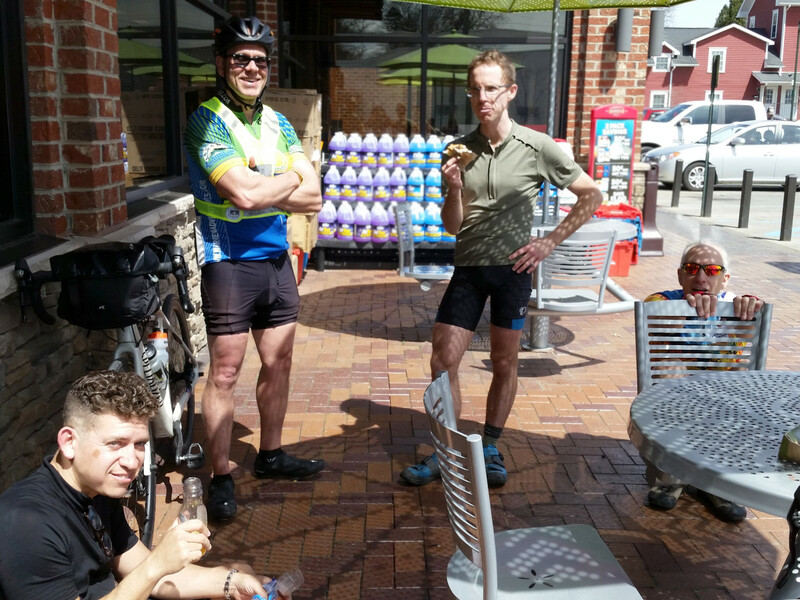 190407 Gran Fondo & 1st Zentury! 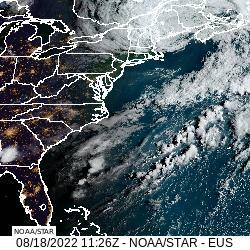 Added the current weather satellite image and link, sourced from NOAA's GOES-EAST.